The Indesit DSR15B is not a machine that is going to blow you away with its advanced features, but that it is not the type of dishwasher that it is designed to be. It is made to be an affordable machine that performs well at all of the necessary functions. If that is what you are looking for out of a slimline dishwasher, the DSR15B can make for a great purchase. 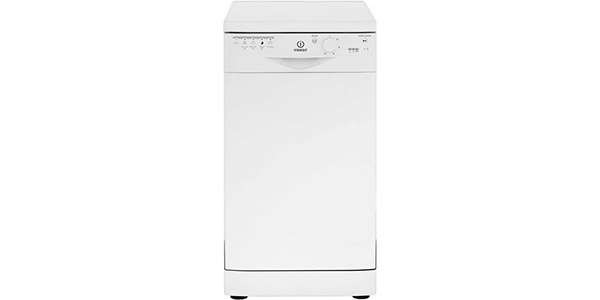 The Indesit DSR15B is a good slimline dishwasher that comes highly recommended from past buyers. This is an appliance in the lower price ranges, so it does not come with a lot of flashy features, but it is a solid machine that delivers good performance. As an additional point, this dishwasher offers decent efficiency, using about 10L of water per cycle and an estimated 267 kilowatt hours of electricity per year. This Indesit dishwasher is designed to hold up to 10 place settings, and the loading process is very simple. You do have some adjustable racking options and the height-adjustable top basket, but this machine is fairly basic on the interior. It uses the space well and it can fit a good amount for the size of the machine, but there are some models that do offer more for versatility. As one of the more basic models that you will find, this one does not offer a lot of great features or programs. However, it does have all of the basic settings that the average user will need. It has the energy saving eco program, an intensive wash, a normal program, a quick wash and it has prewash for soaking dishes. While you might not even get some of the basic features that buyers have come to expect, this machine hits the mark in regard to cleaning performance. The quick wash is fast and it can be good for most of your regular washing, and the intensive wash does well for dishes that have a heavy soiling. The eco wash is also good for saving money, and at three hours, it is one of the shorter economy cycles out there. One of the advantages to being a very simple machine with few added features is that the DSR15B is very easy to use. It just has a dial for select the cycle and a start button. It’s easy to load and easy to get started. As you might expect, it does not have a countdown display, but it does have indicator lights for the progress of the cycle. It’s simple operation makes for a user-friendly experience. Further, the machine is easy to care for and it performs reliably. 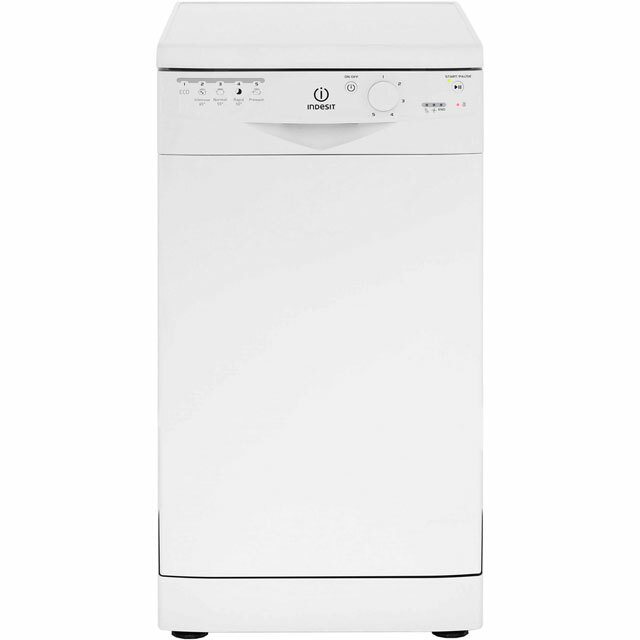 The DSR15B from Indesit is a low maintenance dishwasher and it should last for a long time. The one issue that some users may have is that it is a little nosier than some of the competing models. It is not disruptively loud, but there are stages in the washing process where you will be able to hear it.